I’m looking for Real Friendship, capital R capital F.
As I write this, I’m sitting in the corner of a coffee shop I’ve never been to, waiting for a woman I’ve never met to walk through the door. Because I’m a chronic worry wart, I’ve arrived early (twenty minutes, just in case she is ten minutes early), so that I can order my coffee and settle in before she arrives. This is the first time I’ve reached out to someone online and made plans to meet them in person. I feel as though I’m meeting a potential mate that I’ve sourced through a dating website. Actually, the process of making new friends at my age is kind of like the beginning stages of dating. At least for me it is. What’s running through my mind is: what if I bore her? What if we find we have nothing in common and the conversation suffers? What do I really even know about her beyond the few things I could decipher from her instagram feed? She has a son, like me. She enjoys knitting, like I do. She lives in Las Vegas and is a health coach. These four things are all that I know about her, and so as I sip on my too-hot, too-strong coffee, my nerves kick into overdrive and I find myself sweating through the navy blue, v-neck tee I chose for the occasion. Meeting new people in your early thirties is so different than when you’re younger. The stakes are higher now. You don’t want to waste your time with someone who doesn’t share any common interests, or who isn’t looking for the same level of commitment as you are. There I go again sounding like I’m looking to date this woman. I am thirty years old, married with an almost two year old son. When I moved to Las Vegas in January of 2011, I left behind a small group of amazing girlfriends. At this point in my life, I’m looking for people who want to form a real friendship, individuals whom I can relate to, respect, look up to, and find inspiration from. Is this a tall order? Yes and no. In retrospect, I don’t think it’s too much to ask for. The real issue I’m finding is that women my age aren’t necessarily looking to form a Great New Friendship. They already have a group of friends who fill this role and many others. So when I do meet someone new, I’m often relegated to the Casual Friend category. You know what I mean: the friend of a friend who you only see when a big group of girls get together. The friend whose number you somehow have in your contacts, but you never really text her. You don’t think of her that often because you’re busy, or you have other friends with whom you spend a lot of your time. I’m looking for a Real Friendship, capitals necessary. And so, when the woman I’ve been waiting for walks through the coffee shop door, I realize just how high my hopes are. I also silently acknowledge that she has no idea just how much hope I am projecting on to this meeting. I make a mental note to chill the hell out. As I already have my coffee, she heads over to the counter and orders a hot chocolate, and I realize that I like her already. Any thirty-one year old woman who can order a hot chocolate with a straight face is the kind of person I want to spend my time with. She sits down in the red arm chair across from me and smiles. I think we’re both a little nervous, but that could just be me projecting. I ask her how her day has been so far. What transpires is that over the next hour and a half we talk about our lives, our kids, our jobs, hopes and dreams. With every minute that passes, I feel a little more comfortable and I open up more. That she is the first one to say: we should do this again soon, fills me with hope. For the first time, I think: maybe she is in the same situation as I am: craving new friendships but having a hard time finding them. Perhaps she, like me, is also looking for something Real. I suppose that at this point I can only hope, and only time will tell. What a great post! You couldn't have better described the delicate, yet very real, challenge of making friends in your thirties! I'm right in the midst of such adventures right now, as a 30-something living far, far away from my home country, and I feel it all: the anticipation, the date-like jitters, the hope. Congratulations on going for it, and even more on what seems to have been a good time! There is so much truth in this post! I've moved from sunny San Diego, California to a very small town in Illinois (like really, a village of 600). I have very little in common with any of the ladies out here, except that I'm dating the guy they went to preschool with that is best friends with their husband. It's rough being the outsider and trying to make new friends. So glad for you. I hope you two really connect. Chemistry also happens between friends! To make new friends as grown-ups is really hard. Especially the part about "where to find them". It's not that you are in school anymore and that there are 20 other people with whom you are going to spend the next three years and make some friendships. There is something really special about meeting new people and you described it so beautifully. In a way it's not that different than a first date. There are also emotions involved and expectations and nervousness. Great post. I could relate to so much of it. It is so hard finding meaningful friends when in your 30's and it seems like everyone else is already in their own little groups. Being a home-bodied introvert doesn't help the situation either. Good for you for putting yourself out there 🙂 This post reminds me of the book "MWF Seeking BFF: My Yearlong Search for a New Best Friend". It was an OK read, but it covered exactly what you are talking about here. The woman goes on 52 'girl dates' (one per week for a year) trying to find a new BFF. It hits on how hard it is to make that connection, and how finding a BFF is so similar to dating in a way, which you totally touched on in your post! I'm the same way (a home-bodied introvert) and I am a SAHM so I honestly don't socialize much. Wow, I can't imagine how that would feel moving somewhere so much smaller. But inside every woman is amazing, amazing strength to get through anything and everything. For sure! If there is no chemistry, then what's the point! This post = amazing and on point. I've never thought about it, but you are right on the fact that I don't want to waste my time. I also feel that trying to make friends as adults is harder because often we tend to be a little more judgmental than when we were kids or teenagers. I can also be a little shy to start and some people take this as being rude. I've always been told you would have a handful – 5 – of your closest friends and then just friends. I don't tend to have a lot of 'girlfriends' I do have a lot of guy friends that are my husbands friends. Does that count, haha. In saying that there are people I've never met, but have been talking to via phone, text, messages and emails, with for over 3-5 years. Thanks for sharing your feelings Rachel. This is EXACTLY how I felt when I moved to Alaska. And I didn't go there looking to make any connections, but then 2 weeks in a realized how lonely I was. And the place where I worked seemed like everyone already had their own family and friends. Finally I met someone by reading her blog, and I am pretty sure she felt like I was stalking her, because her blog was only for her family, I found it on a google search. In the end, we were both happy I found her blog, and even though I have not seen her in almost 6 years, we still text!! This was beautiful. I'm so with you. As a chronic mover, I know EXACTLY how you feel. 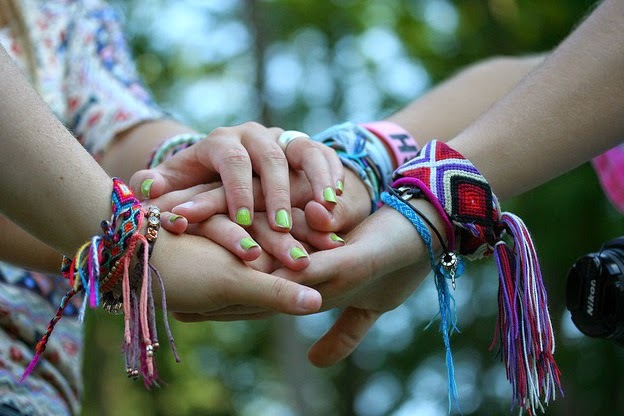 Finding friends is more difficult than finding a soulmate. I'm such older than my 30s, and I've always lived in the same city. For so many years I was totally invested in my kids, but they're grown now. My friend group has changed over the years. And, well, I'd like some real friendships now, too. Good luck, Rachel! I think that making friends is extremely difficult. I have lived in Las Vegas most of my life and of course I have a few friends that I've known since jr high school and things like that, but there are also elements of my life that those friends don't get. My friends don't have and don't want kids, while I have a 7yr old. My friends are crafty but none of them scrapbook or take pictures. Sometimes I think it would be nice to make friends outside my small circle, but it's so difficult and you're right, it's hard to move past a casual contact. I can relate to so much of this post. I'm not really an acquaintance person; I really value and want intentional friendships. But I move ALL the time, so I now only have one friend that I'd say we're equally invested in each other's lives. I've met people in person from blogging before (also with little talking before) and I've found those friendships to be pretty great, because the time spent reading each other already formed a beyond surface level connection. oh dude i SO feel you on this. most of my close female friends live in other states, and i moved to a new area a year and a half ago, so i feel even more lonely. i don't even know where to start to try to find nearby friends now, and it's such a bummer. sometimes i read blogs or see people on tv doing simple, easy things like meeting a friend for coffee and i'm not sure i've ever really been geographically close to my friends in order to do that. and i'm an introvert in general so putting myself out there to meet new people is SUPER intimidating. it's crazy how hard it is to make real connections these days. I relate to this so completely!! When I moved to London with Shane, I didn't realise how hard it would be to make friends. I figured I was coming home to my best friend every day, so I didn't put a real effort in. It Fast forward 12 months – crying to my mom on Skype at least once a week because I felt so incredibly isolated and completely in the dark about how to meet friends as an adult. When we arrived in Australia, I joined meetups.com basically the day we landed. I got my fair share of teasing for joining a "friends dating" site, but it really helped me meet likeminded people. Now that some of my closest friends I've made here are moving away, and I'm thinking I may have to get back into the "friendship pool" to make a few new friends… the thought of it makes me cringe… I'm so happy you had luck!! Read this on my phone the other day and have to say: this is SO GREAT on SO MANY LEVELS, girl. I can't even begin. You pretty much sum up all of the thoughts and feelings. I'm so excited for you and your journey this month. SO. EXCITED. I relate to this so much and have for most of my life even though I'm only 25 now. Growing up, my sister had the closest friends so I also assumed that every friend I made would be like that. I still haven't found my person, but I'm still hopeful. I can't imagine how the whole process would be multiplied if I were moving from place to place, as it was hard enough just moving to Nevada from Canada.